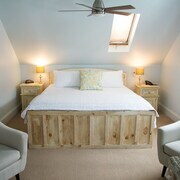 A beautifully located property with a very good restaurant, wonderful views and friendly staff. It is not new, and a little worn in places but well maintained and some nice updates are underway (notably brand new bathroom in our room). 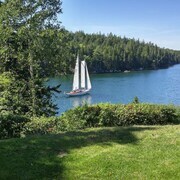 What an amazing spot - peaceful, clean and spacious with a wonderf ocean view and surrounding community. I loved every minute of my stay here. Where to find Western Shore hotels near an airport? Where can I find hotels in Western Shore that are near tourist attractions? 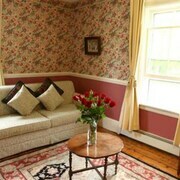 Arranging several nights in Lunenburg and want to stay close to central Western Shore? Within easy driving distance of central Western Shore there are 4 Expedia-listed short-stay and long-stay accommodation options from which to choose. Travelers searching for a place to drop their bags close to the center of Western Shore should look no further than the Atlantica Oak Island Resort & Conference Centre. 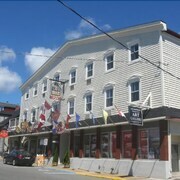 17 kilometres (10 miles) from the center of Western Shore, is the Mariner King Inn. 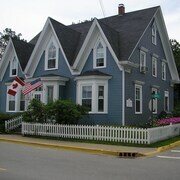 Alternatively, the Smugglers Cove Inn is located 17 kilometres (10 miles) away. Another possibility is to book the Atlantica Oak Island Resort & Conference Centre or the Best Western Plus Bridgewater Hotel & Convention Centre. 25 kilometres (14 miles) away from Western Shore you will find Bridgewater, where visitors can enjoy DesBrisay Museum and Woodland Gardens. 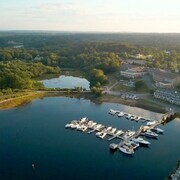 The Comfort Inn Bridgewater and Days Inn And Conference Center are just some of the Expedia-recommended long and short-stay alternatives in Bridgewater. 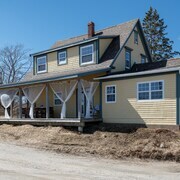 10 kilometres (6 miles) to the southwest of Western Shore, you'll also find Mahone Bay, home to the Fairmont House Bed & Breakfast and Heart's Desire Bed & Breakfast. The Mahone Bay Settlers Museum and Mahone Bay Swimming Pool are just a couple of the more popular points of interest to experience while in Mahone Bay. Before you head home from Lunenburg, make sure you catch some sport. Visit Halifax Metro Centre to the east of Western Shore. 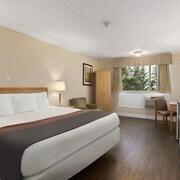 Stay right near the action at the Halifax Marriott Harbourfront Hotel or the Residence Inn by Marriott Halifax Downtown. Stanfield International Airport is a nearby airport for arriving in Western Shore. It is 75 kilometres (46 miles) drive away. If you would like to stay nearby, try the Holiday Inn Express Halifax Airport or Hilton Garden Inn Halifax Airport. 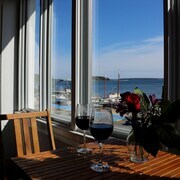 What are the most popular Western Shore hotels? Are there hotels in other cities near Western Shore? What other types of accommodations are available in Western Shore? Explore Western Shore with Expedia.ca’s Travel Guides to find the best flights, cars, holiday packages and more!